Fort Air Partnership Chairman Allan Wesley (centre) and Bon Accord Mayor David Hutton (centre right) cut the ribbon to officially open FAP’s new portable air monitoring station June 19 while MLA Colin Piquette, members of the Bon Accord Council and FAP Board of Directors look on. 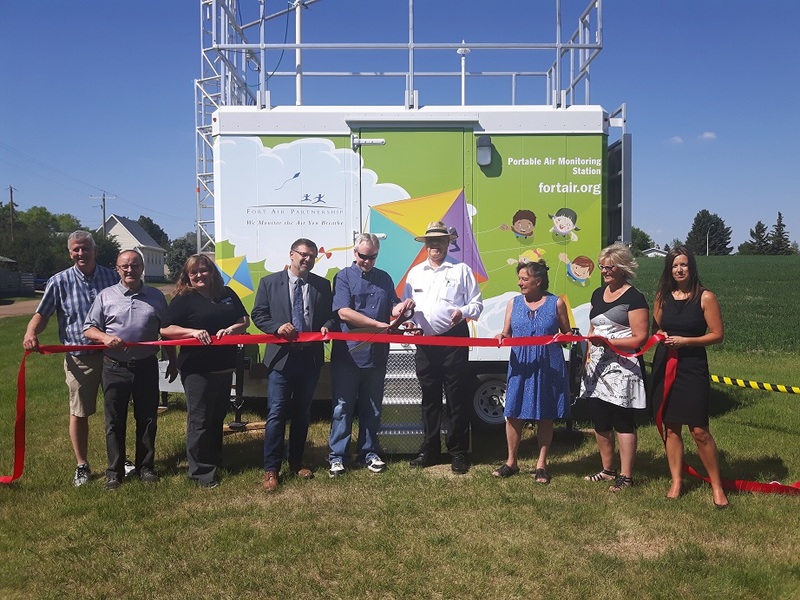 Fort Air Partnership’s (FAP) first portable continuous air monitoring station was officially opened June 19 in Bon Accord. In addition to weather information, the station is collecting and reporting data on seven substances: sulphur dioxide, hydrogen sulphide, nitric oxide, nitrogen dioxide, oxides of nitrogen, ozone and particulate matter. This data enables the calculation of a current and forecasted Air Quality Health Index (AQHI) for the local area. “Having a portable air monitoring station is important because it enables us to monitor air quality in areas previously underserved, as well as respond to emerging issues, “ said Nadine Blaney, FAP’s Executive Director. She noted Bon Accord was selected as the first site for the portable because it is a large community that has not had continuous air monitoring before and there was interest from municipal officials to learn more about local air quality. Learn more the portable station selection process. The portable station will be in Bon Accord for at least six months before being moved to another location. FAP now has 10 continuous air monitoring stations in and around Alberta’s Industrial Heartland. Congratulations to Sarah McCagherty from Fort Saskatchewan who won the grand prize in our Fresh Air Experience contest. We thank all who entered. Here is the Grand Prize winning photo and our three honourable mentions. 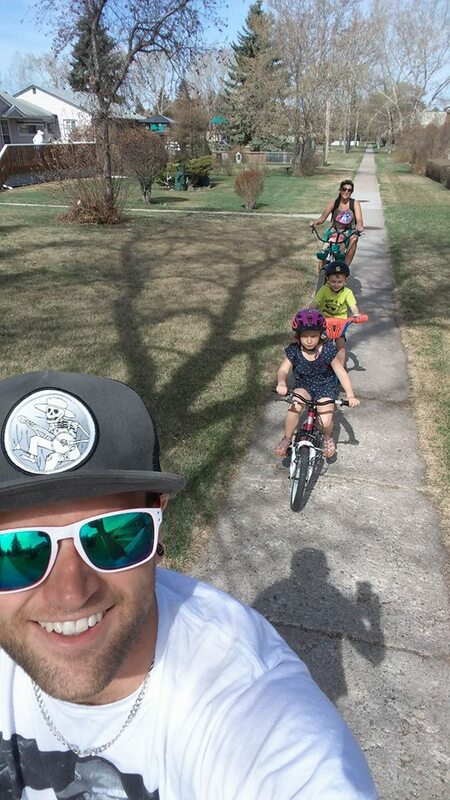 Sarah McCagherty and family enjoying a bike ride in downtown Fort Saskatchewan. 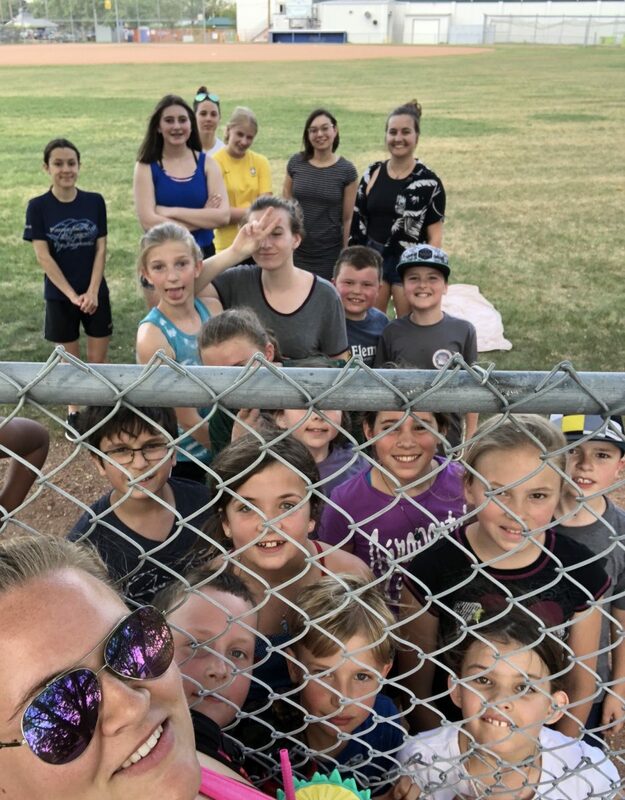 Sarah Budd and the Fort Saskatchewan Piranhas soccer team practicing near Harbour Pool in Fort Saskatchewan. 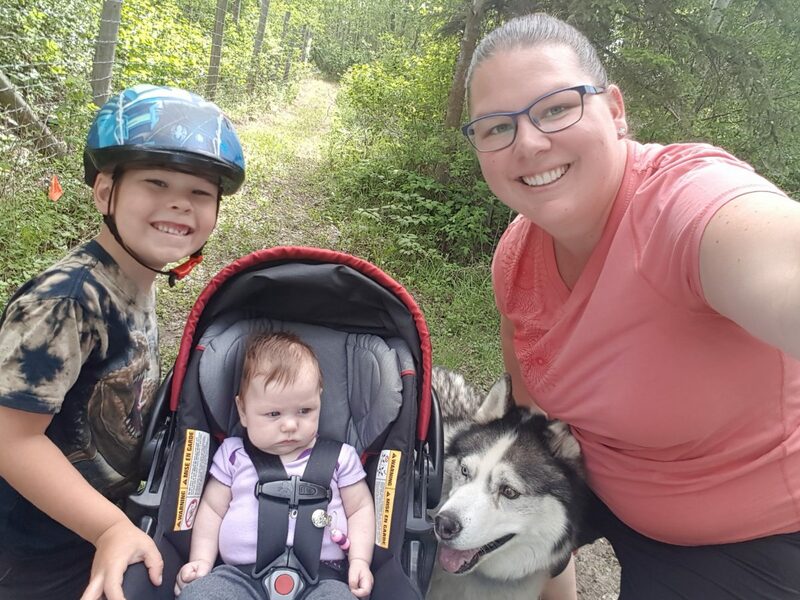 Lamont’s Michelle Poitras and her family enjoying one of the trails at Elk Island National Park. 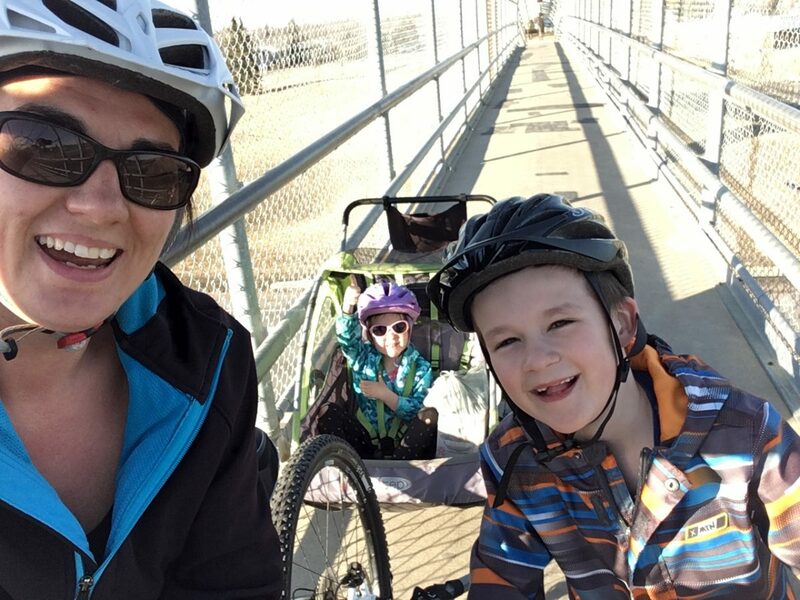 Shelley Romanyshyn and family pausing for a selfie over the Highway #15 pedestrian bridge in Fort Saskatchewan.